A powerful tale of family and community, This House Is Not for Sale brings to life an African neighborhood and one remarkable house, seen through the eyes of a young member of the household. The house lies in a town seemingly lost in time, full of colorful, larger-than-life characters; at the narrative's heart are Grandpa, the family patriarch whose occasional cruelty is balanced by his willingness to open his doors to those in need, and the house itself, which becomes a character in its own right and takes on the scale of legend. From the decades-long rivalry between owners of two competing convenience stores to the man who convinces his neighbors to give up their earthly possessions to prepare for the end of the world, Osondu's story captures a place beyond the reach of the outside world, full of superstitions and myths that sustain its people. Osondu's prose has the lightness and magic of fable, but his themes - poverty, disease, the arrival of civilization in an isolated community - are timeless and profound. At once full of joyful energy and quiet heartbreak, This House Is Not for Sale is an utterly original novel from a master storyteller. Whenever the uncle we all called Gramophone, behind his back, walked into any room with a radio on or some music playing, it was immediately turned down or turned off. He would sometimes use two fingers to block both ears when loud music from the record store down the road wafted into the Family House. He was called Gramophone because he would clean and dust every part of the sitting room but would not go near or touch Grandfather's four-in-one Sanyo stereo. When this was pointed out to him once, he shrank back and said he could dust and clean everything in the sitting room but not that Gramophone, he said, pointing to the Sanyo stereo. We were warned not to whistle songs around him. Whistling was not encouraged in the Family House at any rate, whistling in the daytime was said to attract snakes while whistling at night attracted evil spirits. The characters in This House Is Not For Sale are deeply flawed. They are greedy, deceitful, quick to commit “crimes of passion,” or overly ambitious. And yet, Osondu brings them all to life with love. The dialogue, flavored by its ever-present chorus of unnamed voices, sparkles with humor, playful wickedness, and zest. 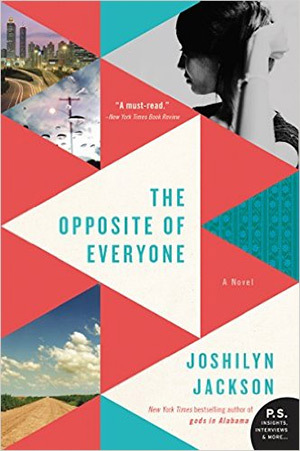 Osondu gives us a strong and joyful sense of place in this novel. It is clearly a place he cherishes, and one that we, as readers, will come away cherishing as well. (Reviewed by Naomi Benaron). Vivid... Beguiling in their simplicity and resonant in their universal themes, This House is Not for Sale offers a striking appraisal of people's basest ambitions. A wide-ranging portrait of an African community largely at odds with itself. Starred Review. Osondu uses the house as a prism through which to depict the events of the neighborhood, proving that our stories outlive the places we inhabit. Remarkable... Though Osondu tips his hat to tradition, this book is a distinctive and singular achievement, all the more remarkable for being a debut novel.